Have exchange for autumn , but still looking for offers for summer . We will answer all emails ! 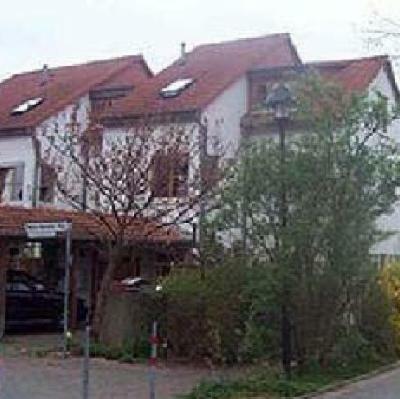 The family-rich village of Neu-Anspach is a residential area for people working in Frankfurt or Bad Homburg (15-min. ride). Neu-Anspach is situated in the green hills of the Taunus and offers many occasions for walking, hiking and mountain biking. A zoo (Kronberg) is another 15-min. drive, an open-air pool is in walking distance. Ideal starting point for trips all over Germany: 25-min. ride to airport and train station (high-speed trains in all directions). Neu-Anspach also offers train services to Bad Homburg and Frankfurt. Closeby cities of Wiesbaden and Mainz are worth a trip. The wonderful Rhine valley with cities such as Bingen or Bacharach are one hour from here - boat trips up the Rhine can also be taken from Frankfurt. We offer a very nice 3-level row house in a children-rich neighborhood, with a playground just nearby. Our girls are aged 5 and 7, we have 5 bikes, 2 of them mountain bikes, 2 for small kids. See http://www.bad-homburg.de or www.neu-anspach.de or for more info.